CLASS Locksmiths are the safe specialists for all applications. CLASS Locksmiths also buy second hand safes for cash. Type of protection required – burglary, fire resistance & rating, restricted/authorised access, etc. Safes not fireproof – they are fire resistant to different levels or ratings. CLASS is able to arrange the delivery and installation of your safe. Manageable safes are delivered and installed by us – but if the safe is too heavy we engage a local professional transport company to deliver our safes to your home or business. There is a range of methods used to fix your safe into position. The chosen method will depend on the floor construction and individual requirements of the situation. The method of installation and placement of your safe can be discussed with our experienced Locksmiths once they have assessed the installation site. Please note that some limitations like steps, inclines, access, floor coverings and loadings may apply to the delivery. Please let our staff know if you think any of theses situations may affect your delivery. Our experienced and professional Locksmiths are able to service and repair all kinds of safes, vaults and containers. Key, combination or electronic locks. Problem locks are always better to repair before you become locked out of the safe completely although we can help you if this does happen. Modernise your safe by upgrading your lock to an electronic safe lock. 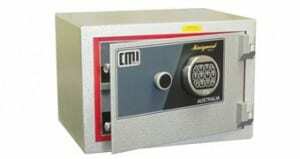 We are able to supply and install a range of electronic safe locks to suit most brands and models of safes. We are able to open your locked safe. No safe is too big or too small. Key, combination or electronic. If you have found yourself locked out of your own safe then we can help you. We have specialised tools and many years of experience to assist in gaining entry to your safe. Sorry, no stethoscopes or explosives used during this process. Whether it is a lost combination or a lost key we are able to open your safe and make it functional again for you to use.